This is the list of Magazines, Periodicals and Graphic Novels that we carry. They are listed in order of publisher. Currently viewing 1 to 24 of 24 Magazines, Periodicals and Graphic Novels. The Outskirts: Cryptogram Puzzle Post Interlinking Puzzles, Codes, Ciphers, Riddles, Spells and Illusions inspired by Witchcraft and Alchemy. The Catacombs: : Cryptogram Puzzle Post 1.7 Interlinking Puzzles, Codes, Ciphers, Riddles, Spells and Illusions inspired by Witchcraft and Alchemy. The Graveyard: Cryptogram Puzzle Post Interlinking Puzzles, Codes, Ciphers, Riddles, Spells and Illusions inspired by Witchcraft and Alchemy. The House: Cryptogram Puzzle Post Interlinking Puzzles, Codes, Ciphers, Riddles, Spells and Illusions inspired by Witchcraft and Alchemy. The Rivulet: Cryptogram Puzzle Post Interlinking Puzzles, Codes, Ciphers, Riddles, Spells and Illusions inspired by Witchcraft and Alchemy. The Beach: Cryptogram Puzzle Post Interlinking Puzzles, Codes, Ciphers, Riddles, Spells and Illusions inspired by Witchcraft and Alchemy. The Marsh: Cryptogram Puzzle Post Interlinking Puzzles, Codes, Ciphers, Riddles, Spells and Illusions inspired by Witchcraft and Alchemy. The Bunker: : Cryptogram Puzzle Post Interlinking Puzzles, Codes, Ciphers, Riddles, Spells and Illusions inspired by Witchcraft and Alchemy. 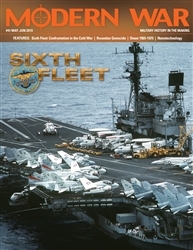 Modern War 41: Sixth Fleet Modern War covers any conflicts from the Cold War to the present and future hypothetical conflicts. World at War Issue 64: Rats of Tobruk World at War Covers the Strategy and Tactics of anything and everything World War II. 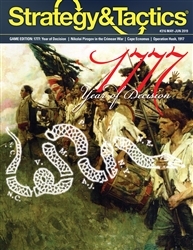 World at War Issue 65: Operation Typhoon World at War Covers the Strategy and Tactics of anything and everything World War II.